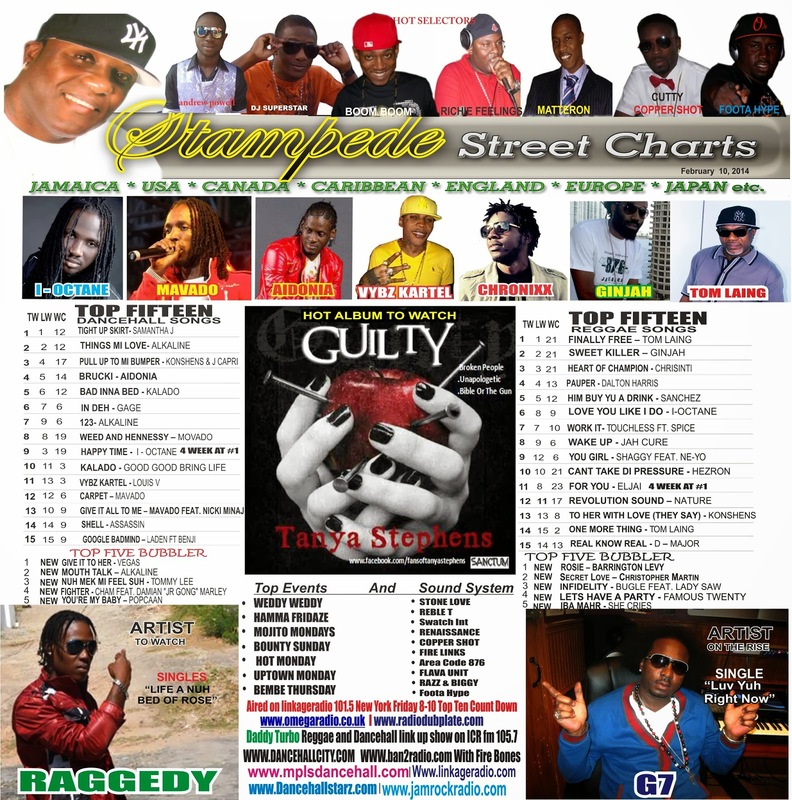 This week Street Charts roundup: Tanya Stephens featured with The Album To Watch. 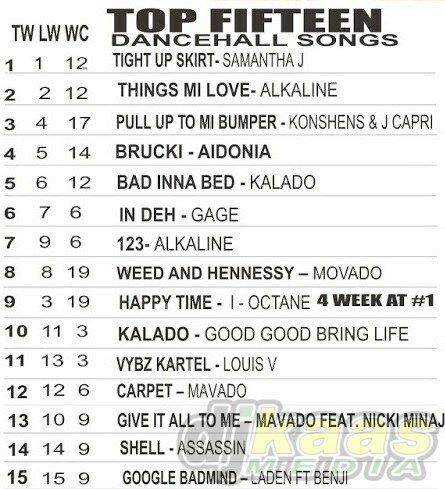 G7 featured As New Artiste To Watch, Raggedy Featured As New Artiste To Watch While Samantha J Remains At The Number One Dancehall Spot With The Hit Single ‘Tight Up Skirt’. 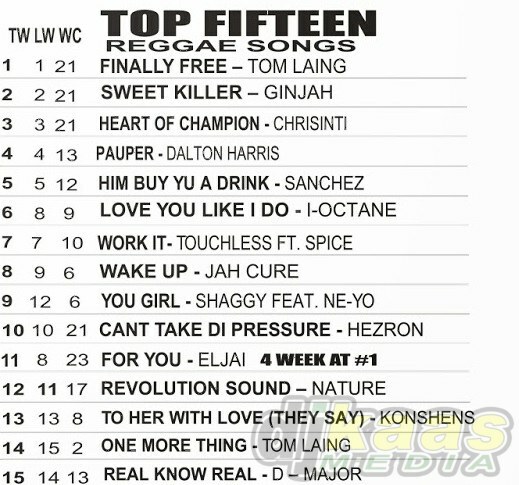 Tom Laing Remains At The Number One Reggae Spot With The Hit Single ‘Finally Free’. Featured as Single Of The Week World Blast Premier G7- Luv U Right Now (official Raw Video+single) Prod. By Warrior Chief Productions.